Child life specialists help infants, children, youth, and families cope with the stress and uncertainty of illness, injury and treatment. We provide evidence-based, developmentally-appropriate interventions including therapeutic play, preparation and education to reduce fear, anxiety and pain. Child life is the emotional and procedural support system for children in hospitals, either as patients or family members of patients staying in the hospital. Child Life Specialists have a strong background in child development, helping them know how to care for any child of any age or developmental stage that needs assistance. Child life also advocates for children to make as many choices as possible during their time in the hospital, and acts as a reminder that play and social interaction are both crucial parts to healing your body at the hospital. Child life's priority is to provide hospital normalization, and to give children the tools they need to cope in a healthy way. Helping with specific events such as weekly patient activities, carnivals, etc. Randall Children's Hospital at Legacy Emanuel has been a regional leader in the care of infants, children and teens for decades. 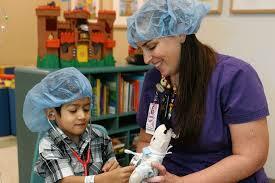 Our pediatric experts understand that children are different than adults - physically and emotionally. That's why we provide comprehensive services for children to meet their health needs on every level. 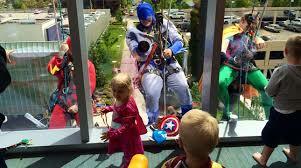 what can you do to help the child life at randall children's hospital?